Samples & Savings is a community of millions of users on the prowl for samples, coupons, and freebies. They match you with products that interest you and allow you to browse all samples they have available at the time. Save your hard earned money. 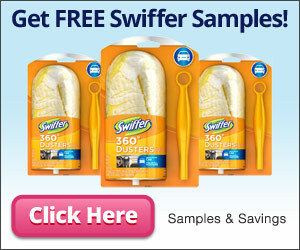 Visit their site and sign up for free samples of Swiffer products for sweeping, mopping, and dusting.